This week, for New Comic Book Day, we’re bringing you the rebirth of Lana Lang, a brand new spy thriller, and the start of a bizarre adventure. As always, this is only a small batch of the many great comics that came out this week. Check out our other blog articles so see our thoughts on other books. Be sure to comment or share our post on Facebook or Twitter if you like our articles! Superwoman #9 presents a turning point for both the comic and Lana Lang as a whole. Superwoman #9 is a tie-in to the brand new Superman: Reborn – Aftermath event. The book revolves around Lana Lang coping with the loss of her powers. When she is at her lowest, her childhood friend Superman is there to give her a pep talk. It’s heartwarming in that classic Superman sort of way. Kate Perkins takes over the writing duties in Superwoman #9. She has no problem capturing the voice of the characters, especially Lana and Clark. Stephen Segovia, as usual, kills it on art duties. James Robinson wrote a perfect psycidellic love letter to Jim Strinko’s run on Nick Fury – Agent of S.H.I.E.L.D. in the 70’s. This color popping spy thriller is what a Nick Fury comic should be. Ever since the First Look preview first hit, I’ve been waiting for the final comic. I was not dissapointed. ACO, Huge Petrus and Rachelle Rosenberg come together to create a beautiful comic. The art screams late 60’s spy thriller, and I loved every panel. The gorgeous panel layouts reminded me of the fantastic J.H. Williams III’s Batwoman – Elegy series. While I had issues following one double-spread panel, on the whole the action was easy to follow. One of the taglines that Image Comics is using to promote the new Plastic series is a quote by Robert Kirkman, the author behind The Walking Dead, which states “This is the weirdest @%#* I’ve ever read. 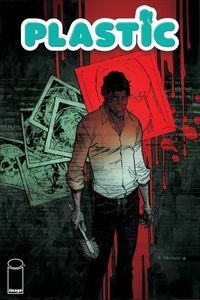 I love it!” After reading Plastic #1, I can safely say that Mr. Kirkman was 100 percent right in his assessment. There is no backstory to Plastic #1. The comic doesn’t ease you into the weirdness of its story – it dumps you right in and either you sink or you swim. However, because it’s weird doesn’t mean it’s bad. Writer Doug Wagner presents an engaging tale with some unexpected twists and turns. 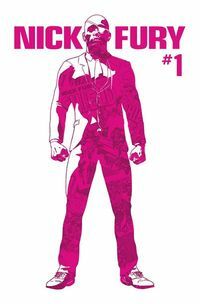 We’re going to keep this review brief on purpose, as the best thing you can do with Plastic #1 is go in blind. Trust us when we say you’ll want to experience the story with a fresh set of eyes.